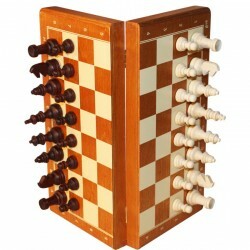 Wooden chess figures No. 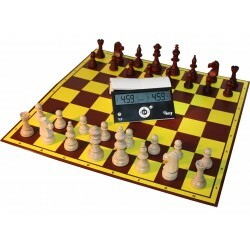 5 Europe were created in a pattern somewhat similar to classical tournament figures for electronic checkers. 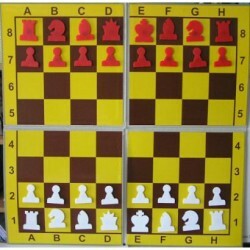 The special production method gives them a beautiful gloss and professional, attractive appearance. 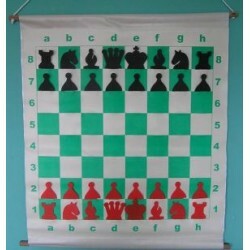 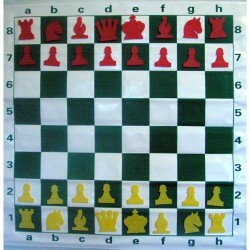 The tournament checssboard No. 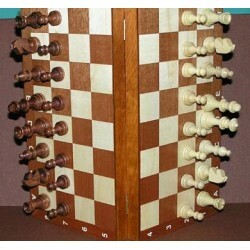 5, folded in half, was produced using the inlay method. 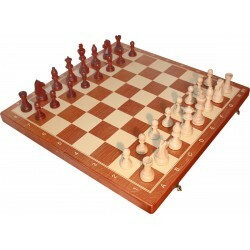 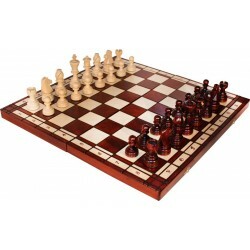 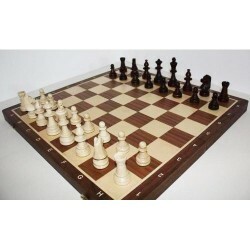 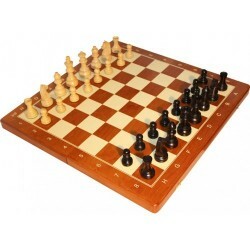 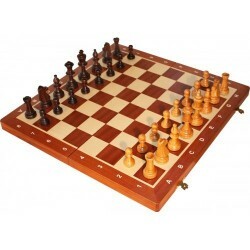 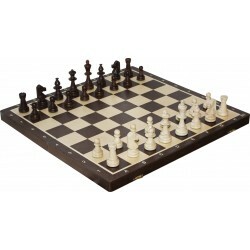 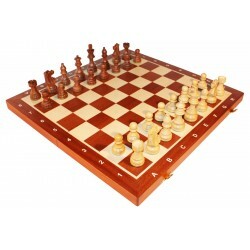 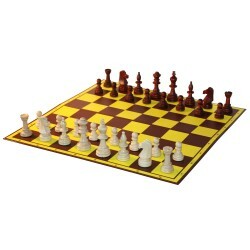 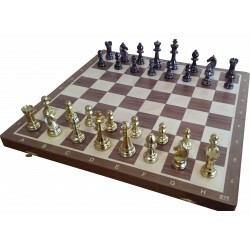 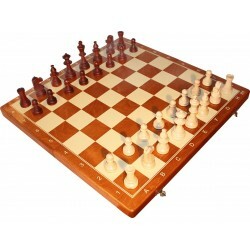 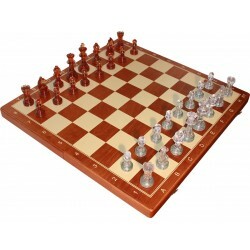 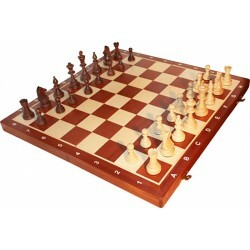 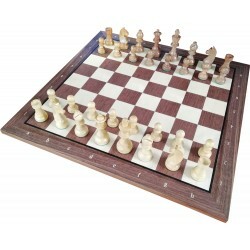 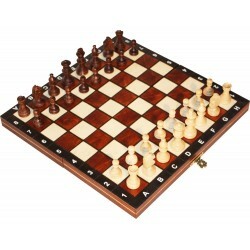 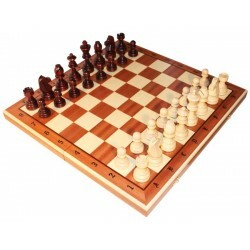 This is a professional-looking, classic mahogany chessboard. 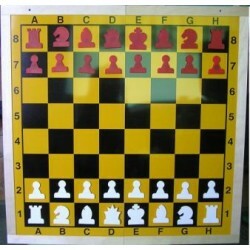 Inside the case you will find an insert for the figures. The set is ideal for both a gift and for your own professional use. 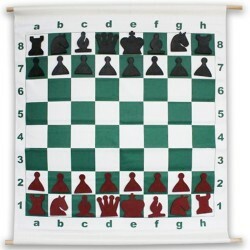 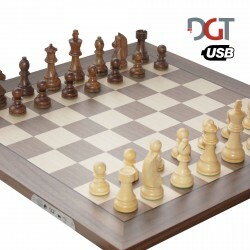 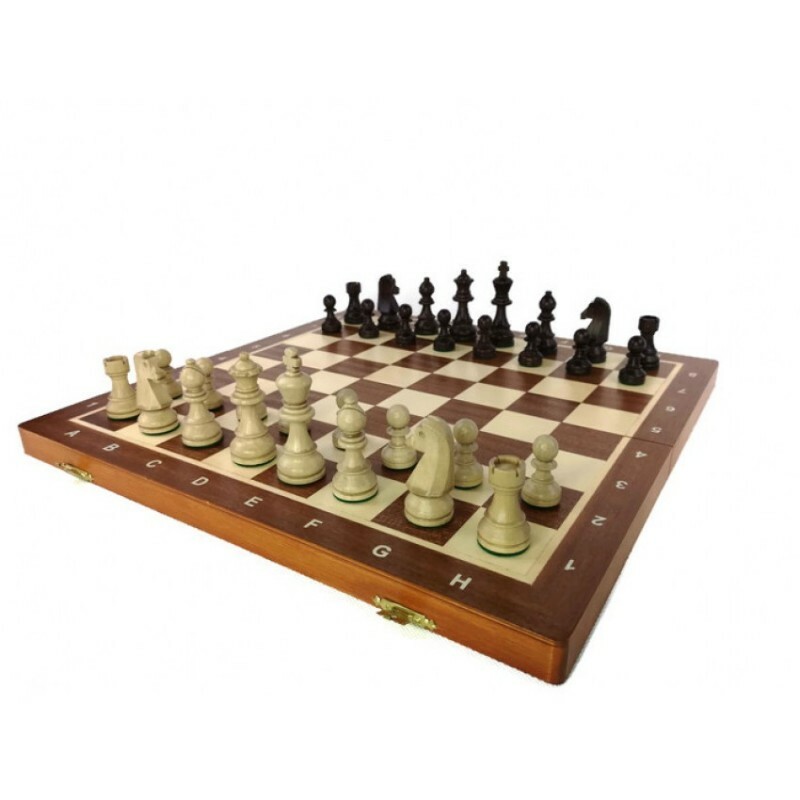 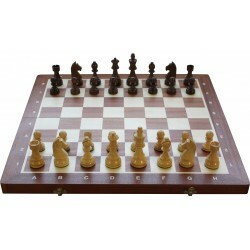 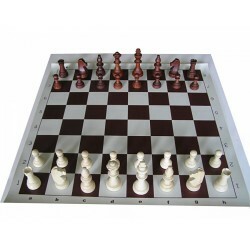 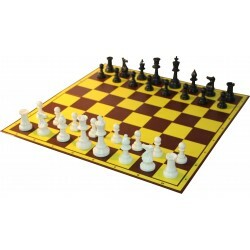 Thanks to the fact that the chessboard is folded and can be hidden in figures, the set is easy to use and transport, and also takes up little space in the home.